Klaudija is a registered psychologist with experience working with children, adults and families. She has previously worked in a non-government sector providing individual, couples and family therapy. 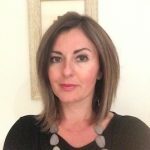 Klaudija has extensive experience working with children and teenagers with difficulties adjusting to family separation, and providing individual and group therapy. She has also worked with separated parents assisting them in managing their co-parenting arrangements. Klaudija is a trained facilitator of the Secret Agent Society social skills program for children and enjoys working with children with Autism Spectrum Disorders. She has an interest in the assessment and treatment of childhood emotional and behavioural problems and developmental disorders. Klaudija provides therapy to individuals and couples for a range of issues including depression, anxiety, and stress and relationship problems using a range of intervention modalities such as, Cognitive Behaviour Therapy, Acceptance and Narrative therapies.